Minnesotans often brag that the cold weather makes them stronger, but no one can lay claim to a stronger tradition of pride and resilience than Detroiters. This toughness is especially well exemplified in the city’s sports history. Eminem’s 2011 Super Bowl car commercial showed off for nearly two minutes the city’s best as the rapper drove through many of Detroit’s historic neighborhoods en route to downtown, under the tagline, “This is What We Do.” If you ever lived and worked there for any amount of time, and especially if you are Detroit born and made like this columnist, no matter where you are, you carry “The D” with a strong sense of pride. We get very defensive, especially when someone not from the city blindly talks about Detroit. I felt this way last week in the Williams Arena media room when two White media members discussed the bowl game the Gophers football team will play this year at Ford Field in Detroit. Being in attendance at NABJ ’18, which among its sessions included a panel on Detroit sports history, not only reaffirmed why I am proud of being from that city, it also inspired the premise of my final multi-part MSR series of the year. As sports in Minnesota is often too provincial for one’s taste, Detroit sports is as passionate, long-suffering and personal as it is in such fan-crazy locales as New York, Boston and Chicago. This is especially true of basketball, which I began following first as a fan in the fifth grade and continuing into my years as a journalist. Detroit basketball is back since last year, playing in the new downtown arena after a 41-year absence: The prodigal Pistons left town in the late 1970s for Pontiac. Now all four pro teams are back in the city. 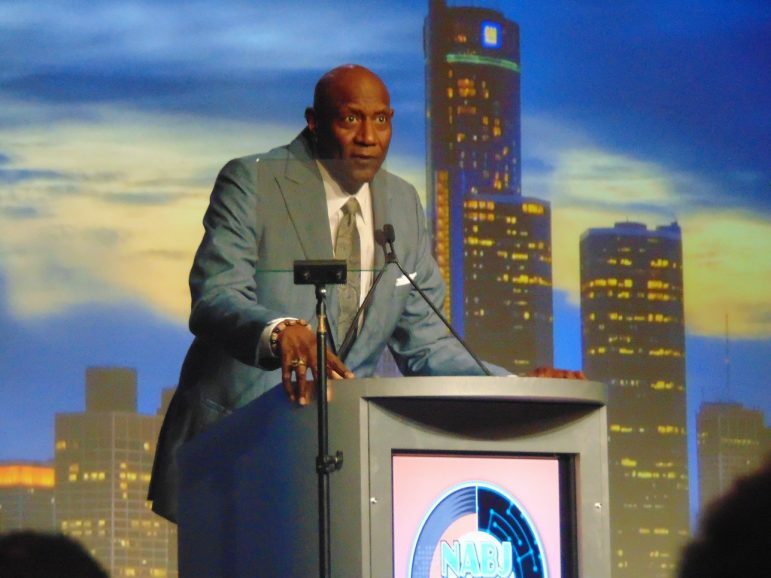 “Detroit was marginalized for so many years,” Spencer Haywood pointed out as an NABJ panel member. He’s from what many of us call the city’s golden age of hoops starting in the late 1960s and 1970s. Haywood’s Detroit Pershing High School team, coached by the late Will Robinson, won the 1967 Michigan state boys’ high school basketball championship, the first city school to do so in 35 years. He later had to file a lawsuit, and eventually got the U.S. Supreme Court to rule in his favor (1971), in order to play in the NBA. These were The D’s hallowed halls of hoops: Cobo Hall, the Pistons’ home and where the Detroit Public School League playoffs annually took place; Calihan Hall, “the Big House” on the University of Detroit’s northwest campus, where the city’s Catholic League post-season tourney commences; and St. Cecelia’s — “Ceceliaville, The Little Big House” — where high school, college and pro players played during the hot summertime. “The culture of basketball [in Detroit] was more than competition,” Haywood recalled. “If you could play, that was all that counted [along with] the toughness, the grit, the sacrifice” whether on the playground or in the gym, whether in grade school, high school, college or pro. Nice article about the magniticent sports history of Detroit. Detroit has given the U.S. many great athletes (Haywood, The Fab Five, Steve Smith, Derrick Coleman, et.al), as well as iconic sports franchises (Pistons, Red Wings, Tigers, Lions). Ditto for its musical imprint (Motown). I have deep respect for the resilience of Motown’s residents. Although lots of positive economic news is happening in the former “Arsenal of America”, I can’t help but to think of the mass of black residents who (as in other American cities) won’t benefit from this resurgence. All by design. If you haven’t already, please watch Jason Black’s “Gentrified”, which also covers Detroit in detail. A final question: did you correct those journalists/propagandists that smeared your hometown?